A Belize itinerary can be action packed with snorkeling, scuba diving, visiting ancient Mayan cities, exploring the underworld, hiking, fishing and so much more, but at the end of your day of adventure, nothing beats the opportunity to relax and soak up a splendid cocktail or 2. Here’s a round up of some of AB’s favourite spots and signature drinks. 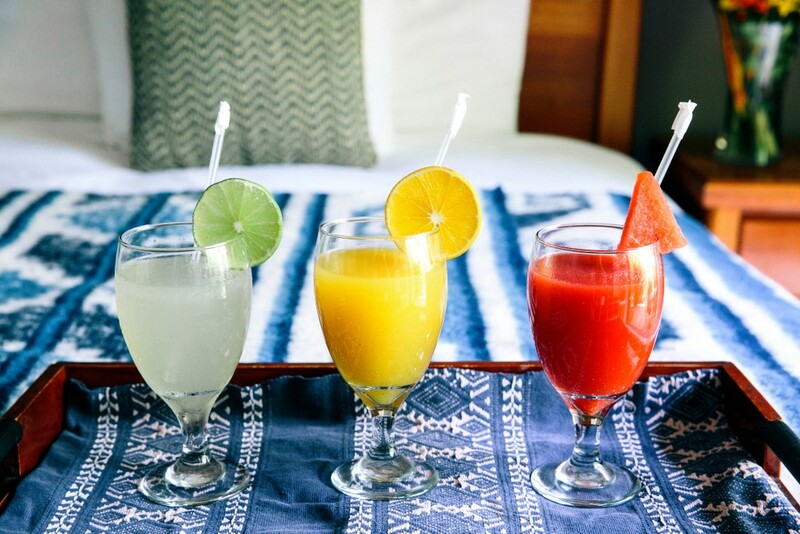 The ‘Paleta Plunge’ at Rojo Beach Bar is an ingenious way of upping the anti on a mimosa. A glass of champagne combined with a delicious home made fruit icicle? With flavours including strawberry & basil, soursop & thyme and freshly picked island plum, we think it’s genius! Estell’s is located on the beach in San Pedro and one of the oldest establishments on the island, where locals and tourists gather alike for the epic breakfasts, knock out BBQ, regular live music and laid back vibe. We think their bloody mary is the best on island with ample dosage of the necessary kicks. 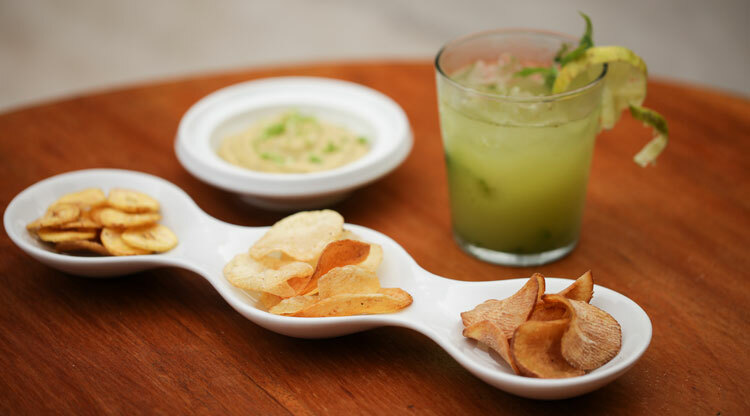 Finn & Martini is a martini bar with a fun vibe, elegant decor, excellent cocktails and gourmet shared plates. 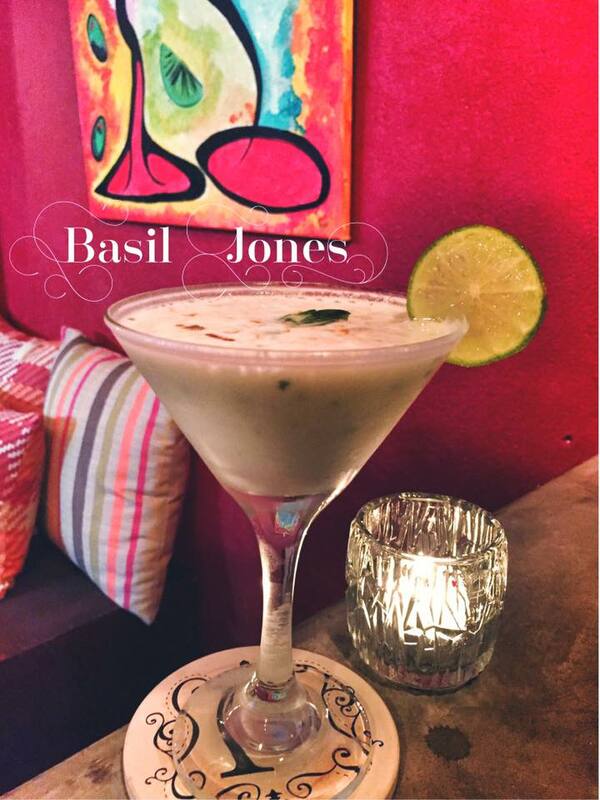 The ‘Basil Jones Martini‘ references the Mayan site located on the island of Ambergris Caye and combines fresh basil, coconut and other deliciousness. The mixologists at the Wallace Bar at Ka’ana take matters seriously. AB’s favourite also turns out to be the owner’s favourite, the “Down the Hatch” combines house infused jalapeño tequilla, muddled lemon basil and fresh lime juice topped with pineapple juice. It’s a killer! 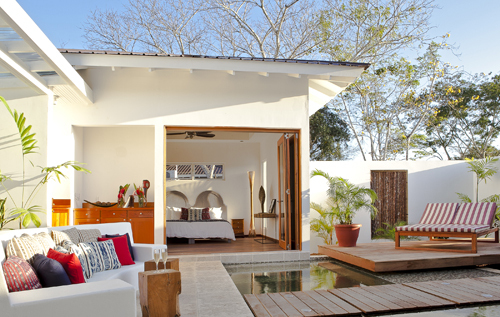 Surrounded by a 365 acre private nature reserve, the Lodge at Chaa Creek is widely reputed as one of the Caribbean region’s best examples of sustainable, green tourism. The lodge co-exists with nature whilst creating a true jungle experience – the result is an exquisite blend of natural beauty and man-made comforts. Stay for 4 nights and pay for 3! Contact us for a tailor made itinerary to make the most of this amazing deal. On the white sandy shores of northern Ambergris Caye, this special offer at Matachica is exclusively available through Absolute Belize – Stay for 5 nights and pay for 4, plus enjoy a full complimentary breakfast every day! With a stunning infinity pool, award winning ‘Mambo’ restaurant, luxurious ‘Jade Spa’ and a team of friendly, articulate and professional staff to take care of you, Matachica ranks as one of AB’s top places to stay in Belize. Stay longer at Ka’ana, book 3 nights and receive the 4th free! Ka’ana is the perfect outpost to enjoy all the gems of the Cayo district. Conveniently located near all major touring attractions, Ka’ana is a haven of understated luxury with a considered design style, distinguished culinary experiences and plenty of pampering. Take a private island far from land, add turquoise waters teeming with kaleidoscopic marine life, mix in exquisite world class snorkeling right from the shore and sprinkle on first class Belizean hospitality and cuisine…. and you have Hatchet Caye, a true private island paradise in the southern Cayes of Belize. Scuba Divers are close to the Gladdon Split Marine Reserve, where the magnificent Whale Sharks migrate between April and July. The area contains some of the healthiest and most thriving parts of the reef, making it a world class scuba diving destination. Fly Fishermen can attempt the ‘Grand Slam’ right from the shoreline, since the waters around the island are thriving with bait fish which attracts larger fish such as permit, tarpon and bonefish. The island’s proximity to the barrier reef also means that Deep Sea Fishing is on the doorstep, with the opportunity to land sailfish, bonito, marlin, king fish, and all kinds of tuna. With idyllic cabanas besides the water, full resort amenities and warm and friendly staff, Hatchet Caye is our favourite place for island life and lovers of the Caribbean ocean.